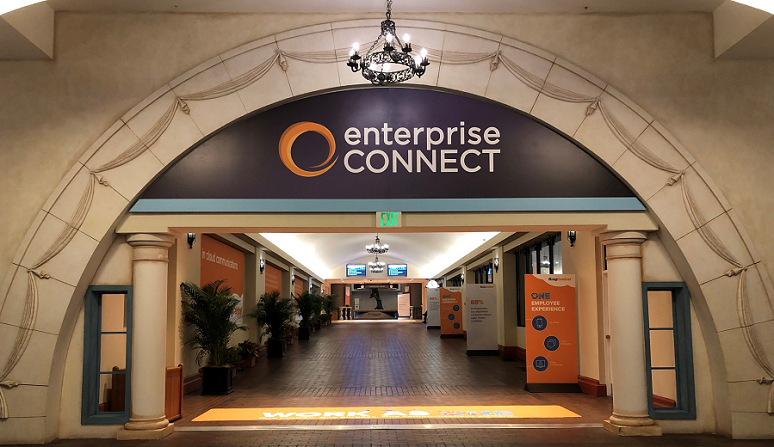 Looking back on the week of Enterprise Connect 2019 can make your head spin. And if the countless attendee emails I’ve received are any indication, the general consensus seems to be that we all wish we could have been in two, three, or maybe five places at once. While we’ve covered many of the highlights and vendor announcements coming out of the event here on No Jitter, with an event of this scale -- nearly 220 exhibitors -- plenty of other news may have flown under your radar. To help get you up to speed, here’s a roundup of news we haven’t already covered, broken out into categories as best as possible for an industry in which divisional lines are increasingly blurring. 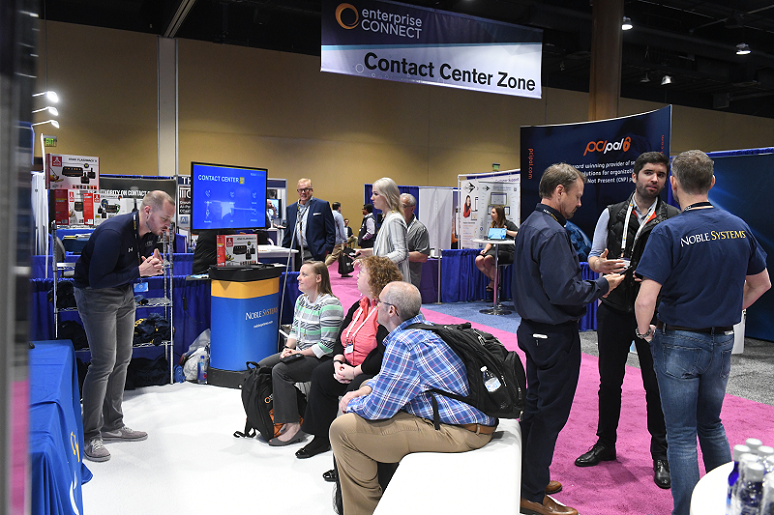 The contact center space is hot, so much so that we elevated the subject matter to the EC19 mainstage. From startup launches to upgrades across the spectrum of incumbent providers, the news was plentiful. Startup Edify Labs chose EC19 for its reveal of Edify, a cloud-based, customer experience (CX)-focused business communications solution that combines the core functionality of CPaaS, CCaaS, and UCaaS/PBX platforms with customer success tools. In a pre-briefing with co-founder Cameron Weeks, I learned that Edify is very much focused on bringing proactive customer engagement to all the corners of an enterprise’s communications by combining the core functionality of communications platform, contact center, and UC as-a-service solutions. With Edify, enterprises can take a holistic approach to its communications, as the platform combines internal collaboration, contact center, and UC functionality with customer success tools and machine learning enhancements. “As customer service, proactive customer engagement, and back-office needs converge, Edify has created a new way for organizations to ensure customers get what they need across all channels in the sales and service cycle -- powered by a single workflow,” said Blair Pleasant, co-founder of BCStrategies and founder of COMMfusion, in a prepared statement. The Edify platform is fully customizable and designed to scale, Weeks told me. Other features include channel-agnostic cross-department collaboration; support for real-time streaming data for voice, video, chat, and screen sharing; real-time communications APIs; contact center functionality that includes ACD, omnichannel, coaching, and training; a proprietary UC/CC application, API platform, and telecom network; and support for certifications including PCI, HIPAA, ISO: 270001, SOC 2, and GDPR. Edify’s platform is currently available in a limited private release, and users can request access on the company’s website. It’s due for general availability this quarter; pricing models vary based on enterprise need. Cloud contact center provider Sharpen Technologies has made its Agent Experience Score (AXS) generally available. With AXS, Sharpen said it hopes to redefine the way companies measure contact center success by incorporating a new “empowerment metric” into traditional key performance indicators. AXS uses a proprietary algorithm to quantify and then aggregate agent empowerment, efficiency, and effectiveness, giving managers a more holistic view into performance, Sharpen said. The company has also enhanced agent experience by incorporating bots that drive in-line coaching for agents and managers. While No Jitter bloggers have already covered and discussed much of Cisco’s EC19 presence, here are some additional details on its intentions for bringing cognitive collaboration to its contact center offerings. The announcement encompasses three areas. First, it’s making its cloud analytics reporting service, called Customer Journey Analyzer, available for on-premises contact center offerings including the Unified Contact Center Enterprise, Packaged Contact Center Enterprise, and Unified Contact Center Express. This version of Analyzer is the first of many cloud-based services Cisco is making available to on-premises contact center customers, Vasili Triant, VP & GM of Cisco’s Customer Care business unit, wrote in a Cisco Blogs post. The company is doing so to help customers begin their journey to the cloud in practical, small steps, while still protecting valuable on-premises investments, Triant said. Second, Cisco is introducing Cisco Answers, a cloud-based intelligent agent powered by Google Contact Center AI. The virtual agent listens to interactions and assists agents with contextual information so they can be more knowledgeable and reduce customer wait time. Third, Cisco is enhancing its Customer Journey Platform with Customer Virtual Assistant, an integrated bot self-service capability for handling customer requests that don’t quite require a live agent. Cloud contact center solution provider NICE inContact announced CXone packages integrated with Salesforce Service Cloud. These new CXone Packages for Salesforce provide carrier-grade voice, intelligent routing for Salesforce digital channels, embedded workforce optimization, and speech/text analytics, the company said. By combining the CXone intelligent routing for digital channels capabilities with customer attributes from Salesforce records, contact centers will be better able to match up agents and customers. Better matches should lead to faster resolution and fewer transfers between agents, as well as the option to provide higher levels of service to premium customers, NICE inContact said. Calabrio, which bills itself as CX intelligence company, introduced the latest version of its Calabrio ONE suite. Calabrio ONE version 11 focuses on workforce optimization, providing users and contact center managers with access to data-driven insights – "regardless of their experience with analytics,” said Matt Matsui, chief product officer at Calabrio, in a prepared statement. With this release, Calabrio has embedded artificial intelligence (AI)-driven analytics throughout the suite so that users can analyze, visualize, and take action without interrupting their workflows. Additionally, Calabrio said it has improved and expanded its suite-wide monitoring, notification, and configuration capabilities to ease administration efforts and increase scalability. With updated auditing and alerting functionality, admins can better ensure that Calabrio ONE integrations with CPaaS partner solutions remain stable and continue to perform. Finally, new scheduling tools enable managers to manage the workforce more dynamically.